Scarecrow Cottage is a rustic 1850s cottage situated a short 5 minute stroll from Swansea's shops, restaurants and the sea. A great location from which to experience the Great Eastern Drive, check out Freycinet National Park or just enjoy the laid back coastal vibe of Swansea and this beautiful part of the world. Enjoy relaxing by the fire and enjoy the view of the stars at night. A self contained cottage. No Wifi available. Scarecrow Cottage includes two very cosy bedrooms, living room with fireplace, combined kitchen/dining, bathroom and a large and quiet private backyard. One bedroom has a queen sized bed and the other has a single sofa bed. The whole cottage will be yours. We have an older style washing machine which you are free to use. 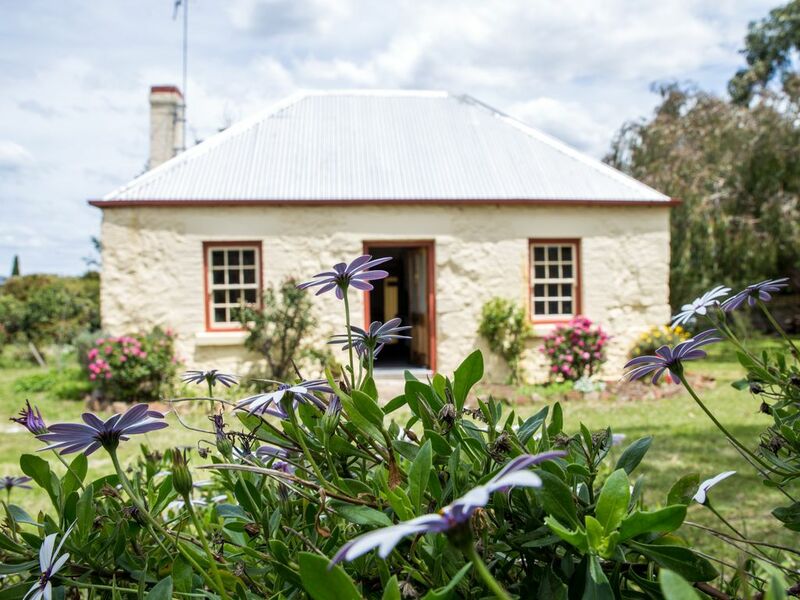 We offer basic facilities rather than luxury accommodation in our partly updated 1800s cottage and entertainment includes an LCD TV with built in DVD player, a small library and some boardgames. Basic cooking facilities are available including full oven, kettle, microwave and toaster. Plenty of firewood is available on site for you to gather for a fire (please bring firelighters and matches). Bedding configuration includes one queen bed and one sofa bed. Portacot available on request (linen not provided for portacot). Maximum occupancy is strictly four. If there is anything we can provide for your stay, please let us know and we will try to accommodate.